Sundials were used to tell the time in the days before clocks and watches. Nowadays they make lovely garden decorations. 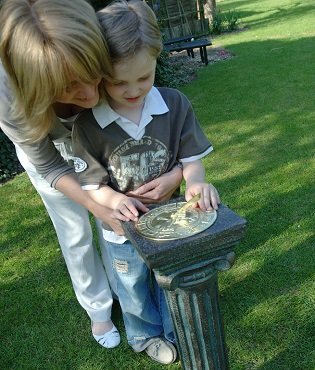 We have many designs available, whether you are looking for a traditional and modern sundial. Based in Shropshire, UK often have sundials for sale in our showroom, while our full range is shown here. 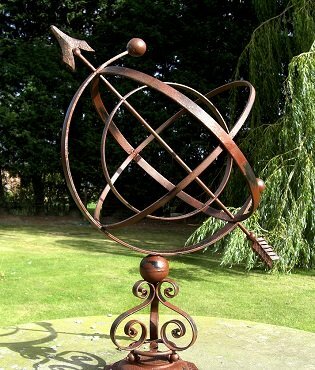 Like a sundial, an armillary sphere is an ancient way of monitoring the movement of celestial objects. An armillary typically has the earth at the centre with hoops and bands around it representing the cycles of the heavens. They are ideal as a focal point in the garden and suited to both formal and natural planting schemes.